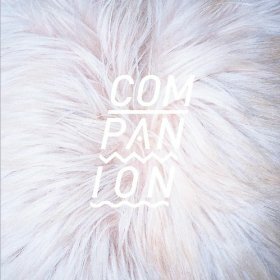 Pepi Ginsberg (2009’s East is East) has been solo for a bit, but Companion is her new music project with vocalists Anna Thorngate and Amy Carrigan from Brooklyn Ladies Choir. She then added longtime bassist Tim Lapin, drummer Justin Veloso, and guitarist Kirk Schoenherr. Pepi wanted lush harmonies arrangements with strong rhythm; the Brooklyn-based quintet delivers on this debut. “My Country, Your USA” and “Out of Control and Wasted on Youth” both are perfect examples of the spiffy pop perfection with choral vocal arrangements covering lyrics more introspective than one might think. “Homegirl” navigates dark waters, but somehow maintains the up beat pop dreaminess that marks this project. “Swimming/Wave” will have you bobbing your head to the near hypnotic beat and repeating to yourself, “I know, gone in a moment, oh.” Ginsberg explained the departure from her previous work, “I needed to learn how to write harder parts on my guitar and sing more challenging melodies, and I’ve been listening to a lot of HOT 97. I wanted to build beats and have electronic aspects to the music, so I had to figure out how to write them.” We love it when a band challenges itself to grow, to expand their element; because we love good music and anything that is done in this cause has our thumbs up.